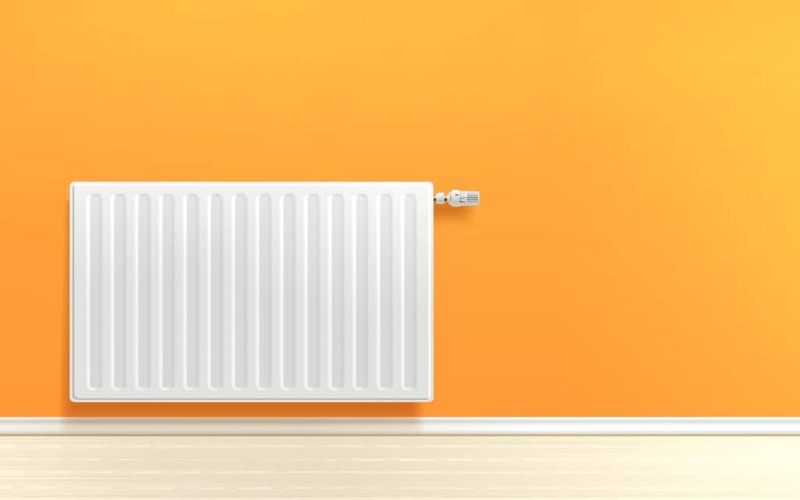 If you are in your winters and turning on your heating systems after a long disuse in summer, then it is obvious to have you facing some problems with your central heating radiators. And to some, the inner workings of the heating system are found to be unfathomable and a complete mystery. Well it is not; sometimes the problems you face with these central heating radiators are just minor and can be fixed on your own. Below we listed some of the problems you may face with the central heating systems along with their quick fixes. Problem: The radiators are cold all over, or say the hot water taps are cold all over. How to fix it: Primarily check if the thermostat is actually warming up, and is between 17 to 20 degrees. And if it doesn’t warm up yet make sure the hot water and the central heating are on. Also check if the electricity is supplied to the system or the heating fuse has blown. If the problem still exists check the motorized diverted, turn it off and on again. And if the problem still persists then it could be the pump. The pumps can also malfunction because of trapped air or clogged dirt if blockage is the problem then it requires cleaning and for the trapped air, the pump has a small nut that has to be turned to release the excess air. Make sure you switch the radiator off before doing this. Problem: Boiler making strange noise. How to fix it: The boilers usually have the odd sound referred as “Kettling”. This can be caused due to the excess air, turn off the boiler to see it if it the cause. Locate the air bleed screw and vent the excess air. If the problem still exists, check if the enough water is supplied to your feed-and-expansion tank. The clogged system with sludge can also be the issue, flushing the system can fix it and also check if the pressure system is at right level if you have it. Problem: Radiators sometimes get warm at the top and are left cold at the bottom. How to fix it: the existence of this problem signs at the sludge building up in the radiator, which needs to be flushed out. The radiator has to be taken off the wall and flushed with the water. And if the problem still persists then the issue may be with the broken pump, clogged pipe, or poorly-designed system. Problem: Radiators sometimes get warm only at the bottom and not over all. How to fix it: This is one of the most common and arguable problem you will face with the central heating system. And the most straight forward fix to this problem is to bleed the radiator. Switch off the pump to prevent the air from getting in to the system. Place a bucket under the radiator’s corner you are working on, find the brass nut at top corner. Use a radiator key to turn it to 45-90 degrees clockwise, or until you can hear the air escaping. The dirty water will drip in to the bucket. Later close the valve tightly and double-check it for any leaks. Problem: The unexpected breakdowns of the central heating system. How to fix it: Heating system breakdowns never occur informed and it is quite unpleasant to have your heating system not working during winters. First thing you can do to sort this out is check what’s wrong with the system, check if there are any loosen wires or changed settings of the boiler that caused the breakdown, if you found so, fix them and secondly, if you think that isn’t the cause call on to a home Emergency cover. It ensures you with a peace of mind when you encounter such problem, a professional to fix it is just a call way. The problems listed above are the general ones and can be fixed quickly with few tools on the hand, and if the problem persist even after trying out these fixes, its time to call up on a professional.